If you are feeling wild and want to escape into the depths of the Amazon then Panther Queen by Pragmatic Play might be the video slot for you. If you are ready to brave the wild, and dare follow the Panther Queen through the jungle you could be rewarded with riches bigger than you can ever imagine. Let the sounds of the undergrowth pull you into this enticing game and follow the Panther Queen into the thick of the jungle. Spins the reels beneath the vines to reveal the exotic wildlife that this game hides, but remain sharp because you never know what might be ready to pounce. Play our online slot casino at Wizard Slots today! Pragmatic Play is seen to be one of the fastest growing online casino game developer for both mobile and desktop slots across 78 countries with well over 150 games you’ll be sure to find something for you. Their games normally feature stunning high detailed graphics and animations along with exhilarating themes and bonus features. But with a huge focus on research and development Pragmatic Play are never going to be too far from releasing a brand new innovative game onto the market so be sure to keep your eyes peeled. Play more Pragamtic Play games now on Wizard. The Panther Queen is an Amazonian warrior. Explore the wilds when you play UKs best slots today! 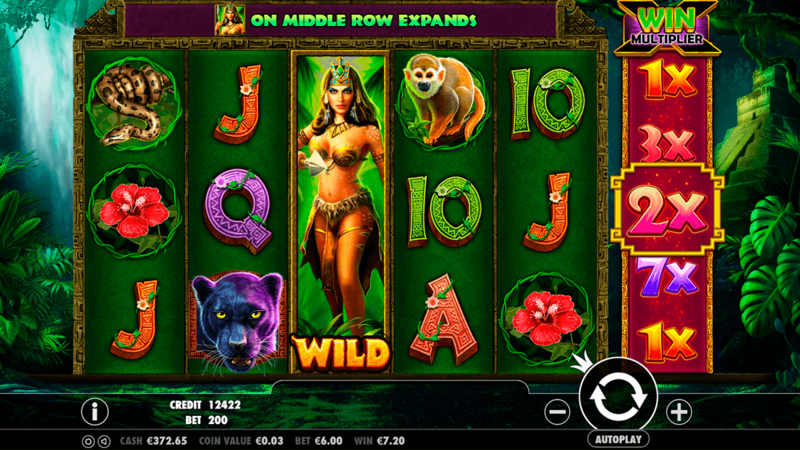 This adrenaline-pumping wild world of the Panther Queen has 6 reels in total with 25 paylines available. If you dare to be wild you can increase your bets from 0.15 to 125 with every spin. Spin the reels against the Amazon backdrop to reveal the exotic symbols of this land including the black panther, a venomous snake and even an exotic toucan. There is also the traditional deck cards A, K, Q, J and 10 looking stunning in an Aztec design. If you want to find the riches hidden in the depths of this jungle then get ready to follow the Panther Queen to win your rewards. ● When she appears in the centre position of any reel it expands to fill all 3 rows. 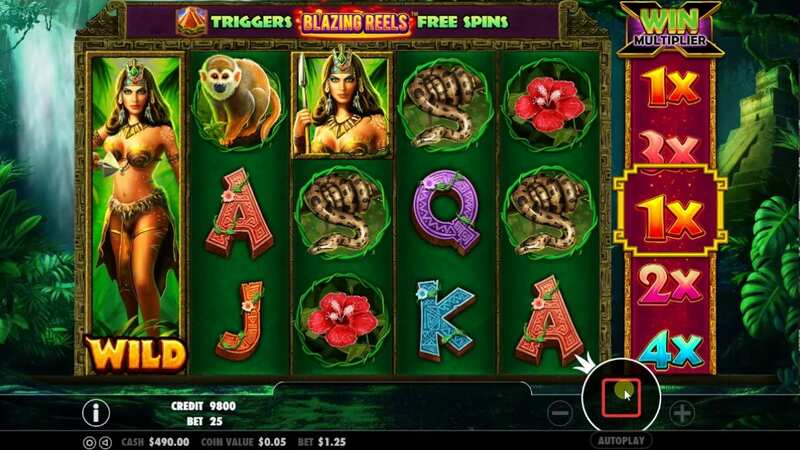 ● There are also pyramid symbols on the 6th reel that can award you with 5 free spins.